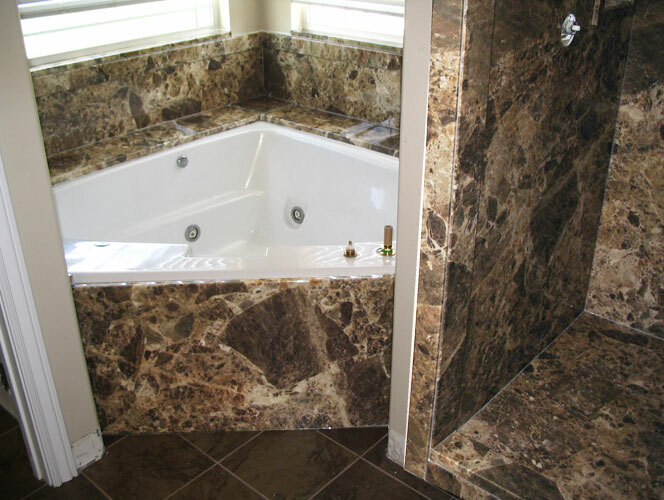 In just one day, our experienced bath installers can transform your boring, outdated bathroom into a room that complements your home and style. 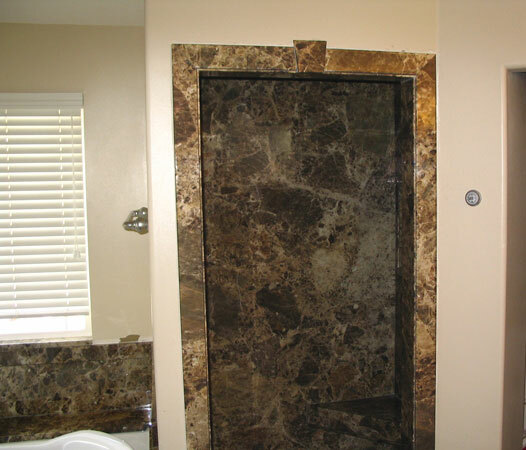 With our custom, acrylic wall surrounds, you can choose from over 100 combinations of colors, tiles, patterns, granite, stone or marble looks. 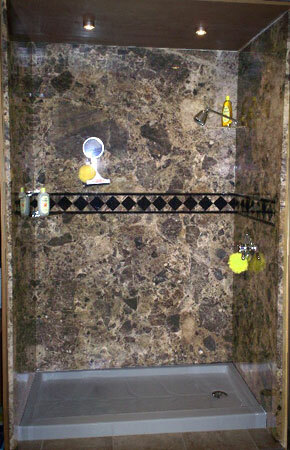 Save Money and Time - get the tile, granite, stone, or even marble look you want at a fraction of the cost. 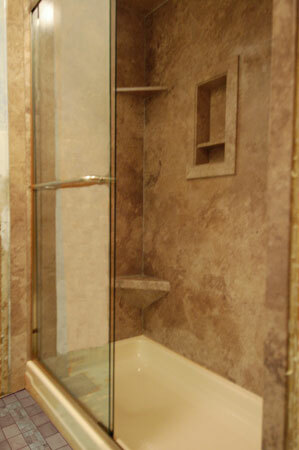 Never scrub your Bath again - acrylic is non-porous and completely resists mold and mildew. 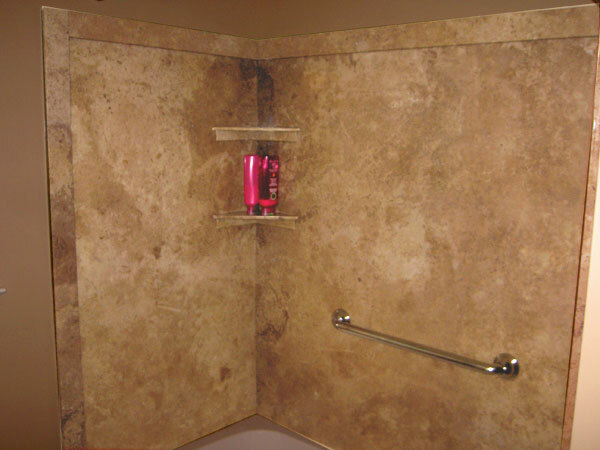 Acrylic tile wall surrounds will never chip, crack, dent or peel. 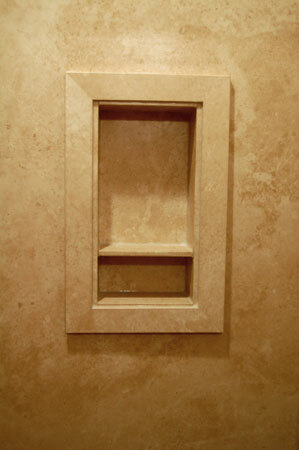 Most installations can be completed in one day! 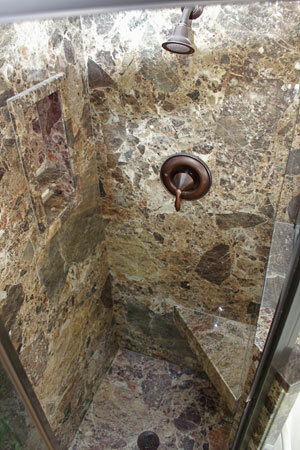 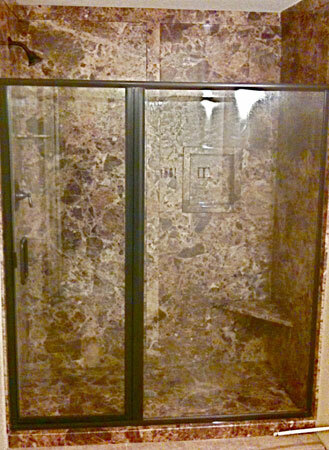 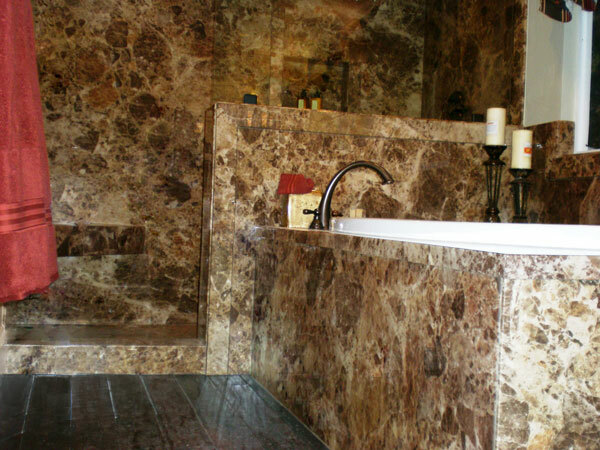 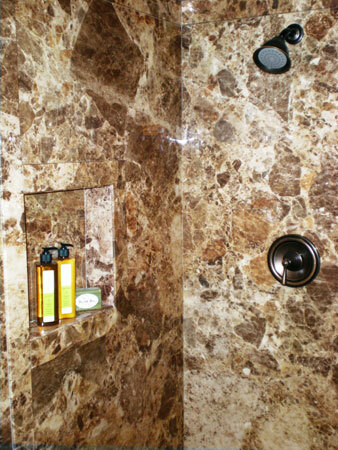 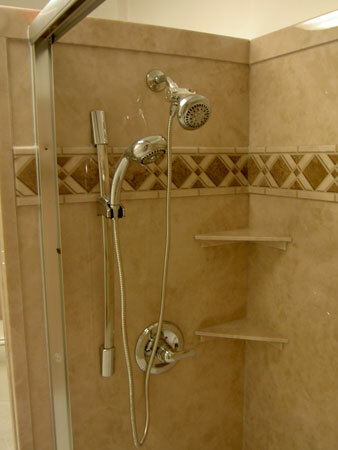 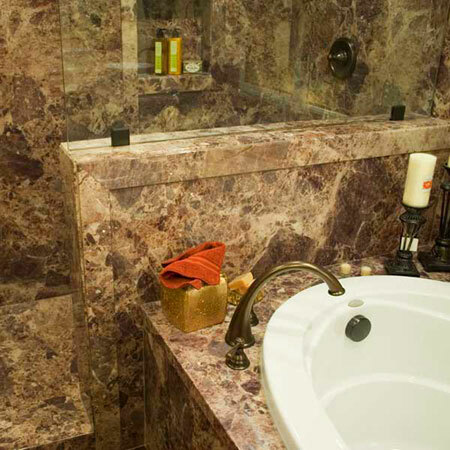 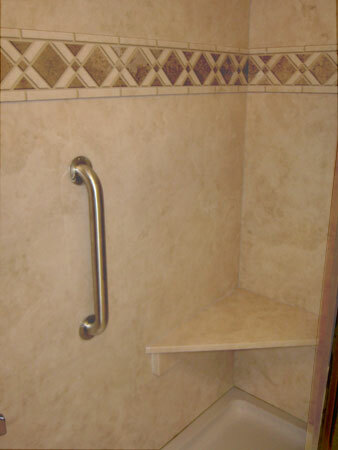 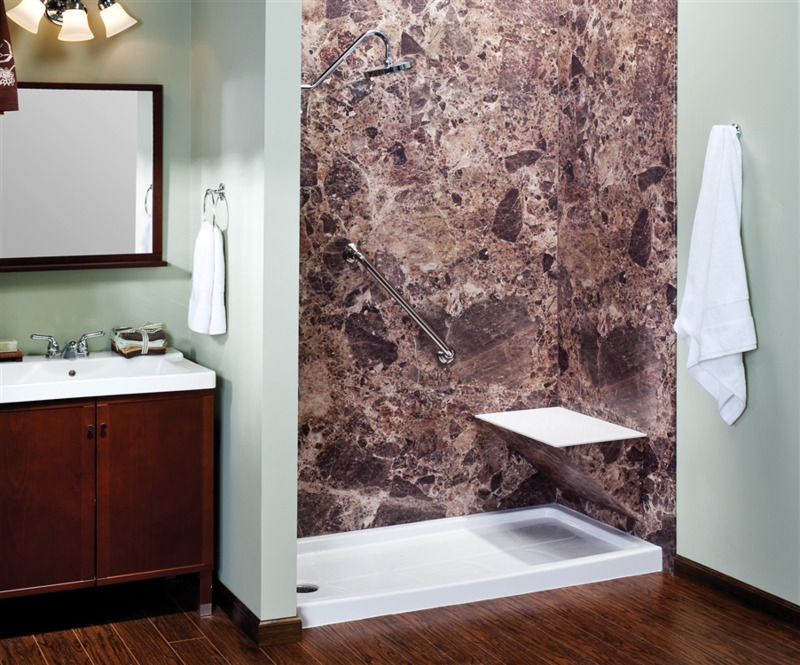 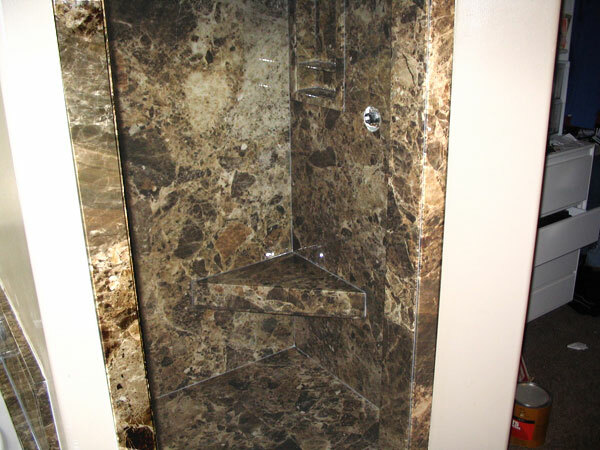 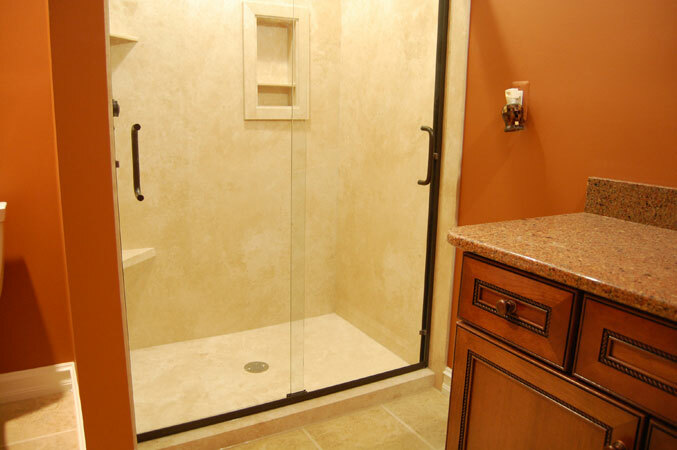 Remodel your entire bathroom with the Luxurious look of Granite, Marble, Travertine, and more! 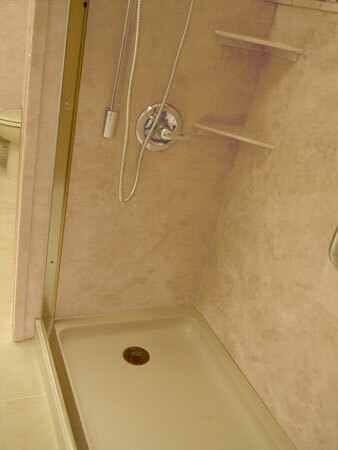 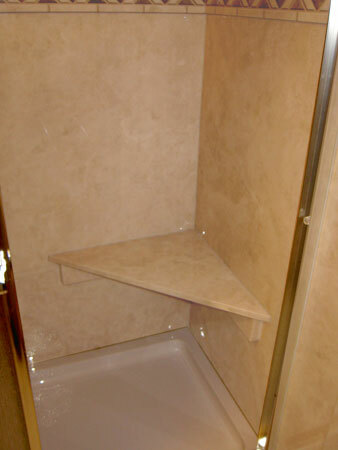 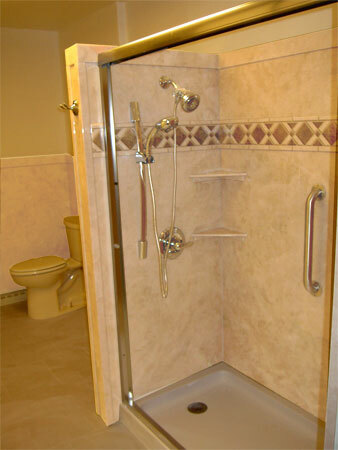 Remodeling your home is now easier than ever with our improved bathroom remodeling techniques. 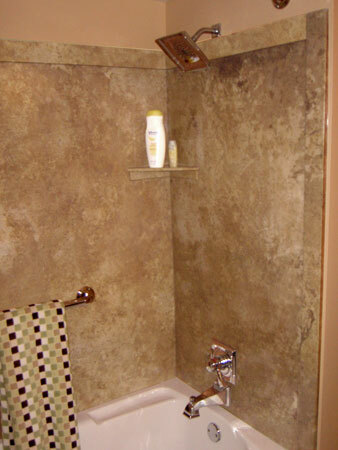 We can cover all types of existing tile with our resilient solid surface wall panels and reliable color matching sealants. 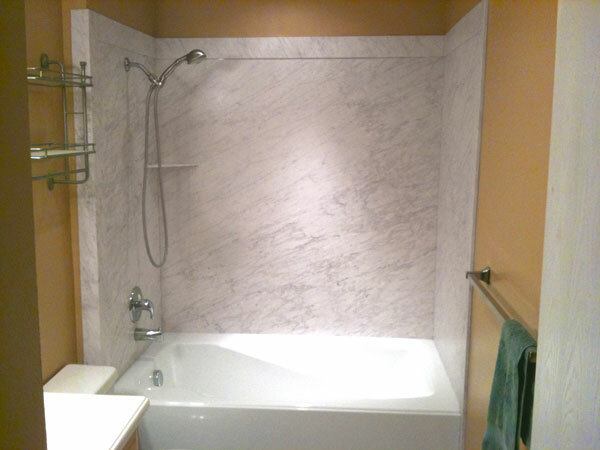 Because we can cover or replace any type of ceramic tile, we are able to update your entire bathroom, floor to ceiling - with a look you love and a price you can afford.